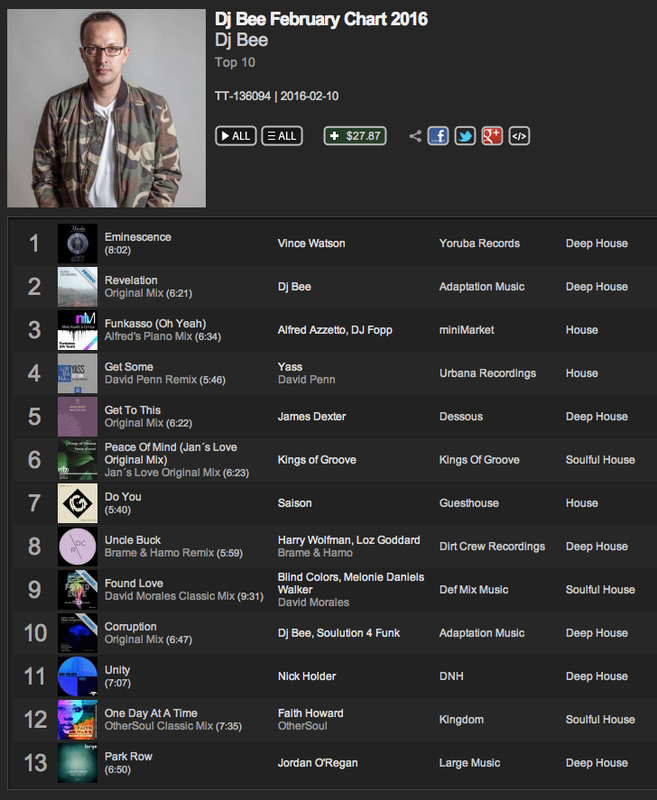 In this week’s Tech Essentials and a featured release on Traxsource. One for the main room! Adaptation Music welcomes back Alex Sosa to the label with the brilliant two track ‘iLuv EP’ following on from his remix of DJ Bee’s ‘Corruption’ back in 2014. The title track ‘iLuv’ is a driving peak time latin style deep tech house affair and would fit well into most deep house, tech house or techno DJs playlists. The ‘B’ side of the EP, ‘What Did You Say’ is another serious driving tech house track fit for the main room, complete with hypnotic vocals and captivating synths. Alex Sosa is one of the owners of both Alma Soul Music and Lovely Records and has been a prolific producer and DJ both in his home surrounds of Madrid and further afield. His music has featured on two of the legendary Joeski’s imprints, Maya and Aztec Tribalism along with having remixed for the likes of Matthias Vogt, Onur Ozman and Bryan Zentz. Alex’s consistency at producing quality deep and tech house has earned him a huge reputation within the scene that is only likely to increase in 2016 and beyond. The latest Adaptation Music show hosted by Tom Conrad features a brilliant guest mix from Lonya (Asymmetric Recordings / Sudbeat / ITH / Duffnote) and contains some great new music from Green Velvet & Carl Craig, Dario D’Attis, Borrowed Identity, Giom, DJ PP and much more alongside some great tracks from Forteba, Mood II Swing, Satoshi Fumi, Gorge, Catz ‘N Dogz and various others. In this week’s Deep Essentials, Weekend Weapons, Hype Chart and also a featured release on Traxsource. Not one to miss! Mallorca based producer Bonetti teams up with Adaptation Music for the first time following releases with Demarkus Lewis’ Grin label and DJ Spen’s unquantize imprint. The superb ‘Lose My Mind EP’ consists of two sublime original deep house tracks backed up with some quality remixes from Brandon Morales (son of house legend David Morales), prolific Italian producer Angelo Draetta (Viva Music) and Bonetti’s fellow Mallorcan, Angel Mora, whose music is widely supported by the likes of Laurent Garnier, Richie Hawtin, M.A.N.D.Y, Maceo Plex, James Zabiela, Danny Tenaglia and more. The latest instalment of the Adaptation Music show hosted by Tom Conrad also welcomes back house music legends Full Intention after a short break. Some great new music is featured from the likes of Joss Moog, Sante, Sonny Fodera, Sek, Eats Everything, Sidney Charles and more alongside some fantastic music from Gene Farris, Tom Middleton, Demarkus Lewis, Soledrifter and more. Also featured on the show is the huge forthcoming release by Bonetti on Adaptation Music, entitled ‘Lose My Mind EP’.